TALL SHIPS® GALVESTON will welcome a fleet of specially selected Tall Ships to its historic waters with four days of “can’t miss” events! This exciting new festival offers a wide range of exciting ways to connect with our audience. From on-site placement to pre-event inclusion in our marketing materials, we’ve got a level that can be custom tailored for you! For the first time in history, Tall Ships America will bring it’s TALL SHIPS CHALLENGE® Series of Tall Ships races and port festivals to the Gulf of Mexico. In the spring of 2018, tens of thousands of visitors will flood the waterfronts of four host ports to explore the magnificent visiting Tall Ships. LOCATION: Gated festival location at Pier 22 & Pier 21 with usage of numerous surface lots and grass locations. Non-gated events at Hendley Green and Saengerfest Park will be held all weekend long. ATTRACTIONS: Continuous entertainment on several stages both in and out of the ticketed festival area, craft and food vendors, children’s activities, and wonderful special events throughout the weekend in addition to viewing and tours of a fleet of incredible Tall Ships! ORGANIZATION: Sponsorship of this event will benefit Galveston Historical Foundation, a 501 (c)(3) non-profit organization. 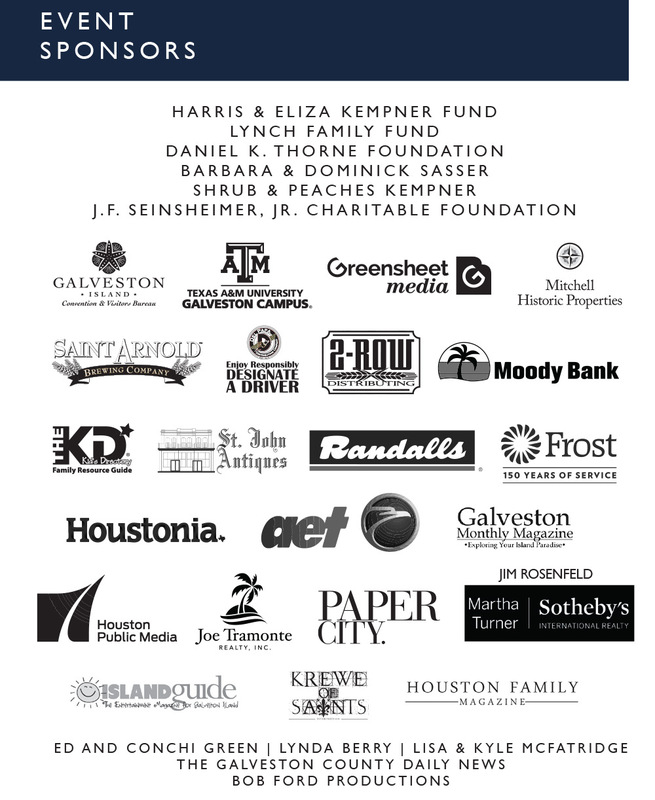 I am interested in being an annual sponsor for Tall Ships Galveston. Our company is a marine services company that specializes in yacht and sailboat servicing and repair, here on Galveston Island. Please contact Will Wright at 409-765-3404 or will.wright@52.15.118.96 for sponsorship information.